Planning a short break to Belfast? Make sure you visit these five popular attractions. Belfast is a truly fascinating place with a multitude of things to do and see. But there are some things that must be done above all others if you are really going to appreciate all that the city has to offer in terms of history, amusements, and culture. Here is my list of top 5 Belfast attractions. The Titanic Exhibition shows you how the great ship was built – and where. 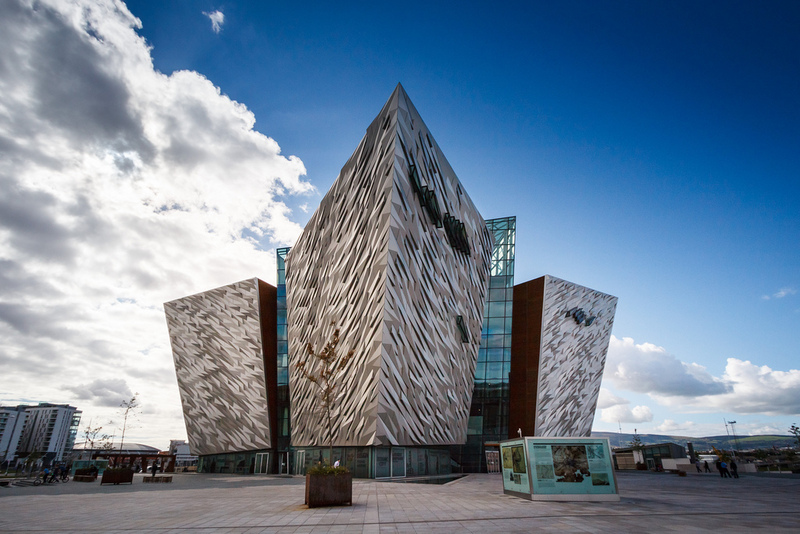 Belfast is the birthplace of The Titanic, and as such is proud of its heritage. Listen to stories about the building of the ship, and what went on on board. And of course, find out more about the tragic night that it sunk. There are often special events on, especially during the anniversary of the disaster, and you’ll go away with a better appreciation of what went on before, during, and after it went down. Ulster Museum is the perfect place to visit when you want to learn as much as possible about the place you are visiting. With various exhibitions including those focusing on art, natural science, and history, as well as a number of temporary exhibitions that change from month to month and could be anything from eighteenth century fashion to making science with whatever is in your kitchen cupboard, it’s a superbly interesting place. You can spend an hour or so here, or an entire day, as you can choose the areas that interest you the most. Belfast Zoological Gardens has a little bit of everything. There’s the big and wild such as elephants and lions. There’s the small and furry such as the red panda and the fossa. There’s the endangered too, such as the red squirrel. There’s something for everyone, and the knowledgeable zookeepers will have all the answers you could want. Belfast Castle is not the original. It’s not even the second. Tragedy and disaster has wreaked havoc on the castles that have been built on this site, but thankfully the castle that is now standing has been there for the longest time of any of its predecessors – it’s been there since 1870. So although not the twelfth century turrets that could have been there, it is still full of history and entirely wonderful to wander around. You can wander the gardens, enjoy the children’s play area, and even step into the Victoria era in the cellars. A great day out. Crumlin Road Gaol is a great day out. Or evening. That choice is yours. The building was a prison from 1845 until 1996, and in all that time it managed to get itself quite a reputation for the strange goings on that happened there. Allegedly haunted with a long and fascinating history, this is a must see on any trip to Belfast. Take a guided tour and learn everything about the famous – and infamous – prisoners who spent time behind its thick walls, and about the normal everyday folk who were thrown in there for the smallest of crimes as well. Everyone from murderers to debtors were crammed together in Crumlin Road Gaol, and the result wasn’t always pretty. Or why not take part on one of the night time paranormal experiences? Are you brave enough to spend the night in the gaol, listening to everything little sound and hoping it’s nothing too scary? Alternatively, you could enjoy some tribute music as the gaol is now a music venue, and a very popular one at that! Book a short break by sea to Belfast.